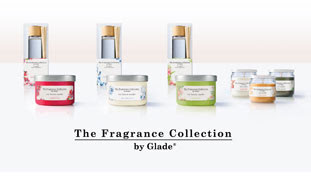 The Fragrance Collection by Glade $3 Gift Cards, 4 prizes to be awarded. Each gift card coupon is good toward the purchase of any product in the line. This giveaway contest ends on January 11, 2010 at 11:59 p.m. PST. FTC Disclosure: MommyBlogExpert received these from Glade and is giving them away. MommyBlogExpert did not receive any payment or other compensation associated with this post or this giveaway contest. See complete FTC Disclosure information that appears at the bottom of MommyBlogExpert's main page and at the bottom of every individual post on this blog, including this one. Hi MBE! I love those Candles. they are so luxurious at such a great price. My favorite is the Currant Acai candle. What can I say, I need the card to buy more candles to burn in 2010. I love all the Glade products - they smell so good! I love Glade Products and could definitely use this. I like the candles in this line. I like this because I love fragrances!